Did y’all catch Tami Roman’s daughter Lyric Chanel Anderson on the new cycle of America’s Next Top Model? If you blinked, you may have missed her. Apparently, the Basketball Wives spawn is not happy about the way her cut was displayed on the show. Though Lyric didn’t make it as one of the finals to land a spot in the running, she says she’s not happy with the way her short stint was portrayed. According to viewers, Lyric was immediately dismissed right after mentioning her famous parents. 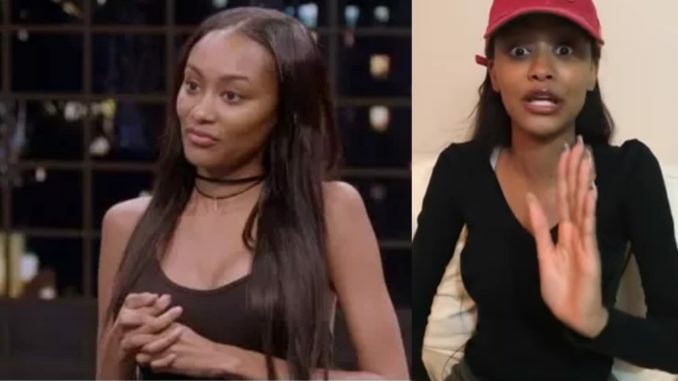 In an emotional video, Lyric describes her audition with the ANTM judges and her disappointment in host Tyra Banks for not defending her.